Considering Renting from a DVC Member? Where can one get a copy of a rental agreement? My 2 most favorite places! Here is a sample agreement. This is not legal advice and you should consult a qualified lawyer if you wish to ensure the legal intent of the agreement. 3. A deposit of 20%, plus exchange fees (if any), will be due within 10 days of the receipt of a printed confirmation (or copy) from Disney in the name of Renter. This deposit is non-refundable. The remaining balance of 80% of the payment will be due no later than due 60 days prior to the arrival date. 5. All funds received are NON-REFUNDABLE. Member will always retain control over the reservation. Renter may not sub-lease to a third party. This is an agreement to rent points that represent accommodations ONLY. There are no ticket media, transportation, meals/meal plans, transfers, insurance, or other items included. Such items and any additional costs therein are not included in the above referenced rate. Further, Renter understands that there is a not daily housekeeping service at DVC resorts. Additions such as the Disney Dining Plan (DDP) and Magical Express will have to be made on behalf of Renter through DVC by the Member. Renter will pay for the Disney Dining Plan during check-in at the resort. Renter may make their own dining reservations through the Disney dining number. Park tickets cannot be purchased through Member. Renter can purchase tickets on their own. Renter will email Member with the first and last names and ages of each person staying in the villa. Any special requests regarding room location, view and/or amenities will be made for the Renter by Member at the time of making the reservation but CANNOT be guaranteed. In the event that the Renter wishes to change the reservation, Member will make reasonable efforts to assist Renter to make such changes. Renter should be aware that changes to the reservation may not be possible because of limited room availability. Any changes must take place on or before _________, 2008 and result in travel being completed by_______, 2008 as that is when the points will expire. Renter shall be responsible for 100% of any additional charges assessed or costs incurred to accommodate Renter’s changes. Payment for these changes shall be due upon e-mail or fax notice from Member. Confirmation of payment for such changes is required within 5 business days of such notice or reservation shall be cancelled. Renter understands that all DVC resorts are totally smoke free including the guest rooms, resort buildings, patios and balconies. Any modifications of this Agreement are unenforceable unless in writing and signed by both the Member and Renter. This Agreement shall be governed under and interpreted and enforced in accordance with the laws of the State of xxxxx. It's a start. My hubby works in an office where he consults with attys. After we have it completed, maybe they will look at it for us. Attempting to rent points. It has been a while since the last time we did this. But could someone help me interpret the points charts. I am looking at BWV, at the time I am looking for a studio Sun-Thurs is 12 points. So this means that if I check in ON SUNDAY (stay sun, mon, tues, wed, thurs nights) and CHECK OUT on friday the total number needed would be 60 right???? THe owner that I am working with believes that to check out on Friday means that I pay the higher points rate. Please help. check in on Sunday - and check out on Friday is 60 points. 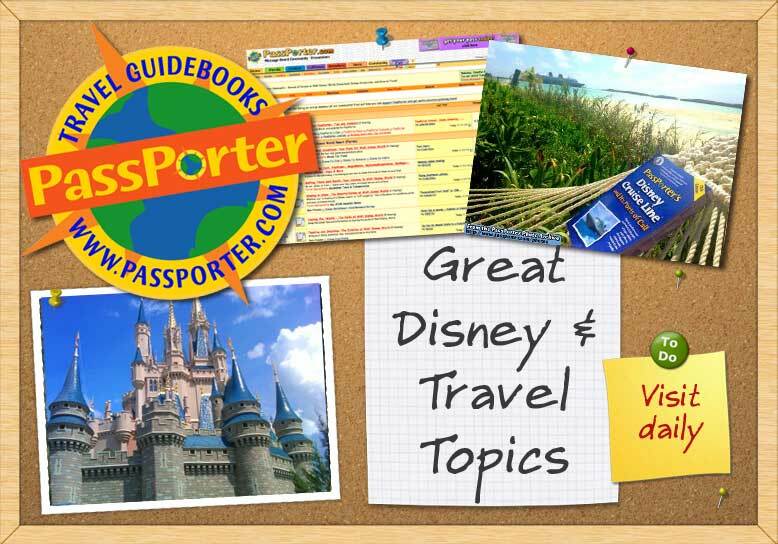 has your dvc member rented points before? sounds like they are expecting you to stay on Friday. Or are not listening to what you are staying. now this is 2009 points - 2010 points chart is higher! yes, I am planning a 2009 trip. She hasn't rented points before and she is a relatively new owner. But it is someone that we know personally so I feel really comfortable renting from them. The resort I wish to stay in is not her home resort so we can't reserve yet anyway, but I want to be able to budget. I'd like to pay her in full when she makes the ressie. Thanks for your assistance. I hope you get your rental! What a good deal! OK, time for big, bad Tim to play grim reaper. ...it sounds like you're trying to get November or December '09 in a BWV Studio. I have to say I think your chances are fairly remote. Studios are reportedly the room size with the highest demand. And BWV is very popular during the fall Food & Wine Fest and then in the weeks leading up to Christmas. If your friend is prepared to call at 9am on the first day he/she is eligible to book, you may have some chance. How good of a chance depends upon the exact dates. (If you're trying to visit in December, the resort is probably fully booked by BWV owners already.) If you wait a few days after that 7-month window opens you'll never get it. If you really want to go, I'd suggest being prepared with a Plan B. Old Key West, Saratoga Springs and the Animal Kingdom Villas are all excellent resorts and they are all larger than the BoardWalk. Thanks, I figured the chances were slim, the dates I was looking at are actually Nov 29 (5 night stay), and the points are apparently 9 not 12 a night, typo on my part. I am fully prepared for OKW and love that resort, but magic happens right? Her home is SS which is 12/night for the same time so I am holding out for what I would prefer. But thanks for all of the tips and pixies. value view at AKV is 8 points, and OKW is 8 points - the new BLT will be opened and your chances for it as much better - 12 points for standard - that say standard will be hard - lv is 15 points and you should be able to get that one. blt is the new DVC resort between CR and MK. so the monrail for EPcot. how do i find dvc renters? where are the renters found? I just wanted to add that thousands of successful rental transactions have been completed throughout the history of the DVC program, and the savings are obvious. Reported instances of fraud occurring are small. However, you should take whatever steps you feel are justified to become comfortable with the process prior to entering into a rental deal. You must understand that you are placing a great deal of faith in the DVC member's promise that a reservation has been made and will remain in force until your arrival. There are rental forums available on places like MouseOwners.com and DISBoards.com. Ok. I just went to Mouseowners and read there "new posters" thread. They are very intimidating and have no patience or tolerence for newbies it seems. I don't understand the lingo at all or how renting points works. I am not a DVC member. I just thought I'd look in to renting from a member as an option. They said in their "welcome" post that if we posted somthing wrong it would be deleted for stupidness. Quite frankly, I'm afaid to post. Is there another , friendlier site that may help? If you think the rules for MouseOwners are tough, wait until you see the much stricter rules at DISBoards! Both sites are friendly, but have rules to prevent their rental forums from getting out of hand. Most forums don't even permit rental postings because of the hassle. Ok. Ty for the heads up. I haven't posted anything there. However, they aren't friendly as you say at all really. The opening post was very rude at mouseowners. Its not strict to call ppl stupid, its just rude. If the other place is worse, then I won't be visiting that site. They obviously do not need or want anyone to rent. They won't lose sleep over not getting my business. Nor will I lose sleep over not renting points. I'll visit Disney another way. My idea of friendly is very different I guess. lol. Dang those DVC villas are nice though.